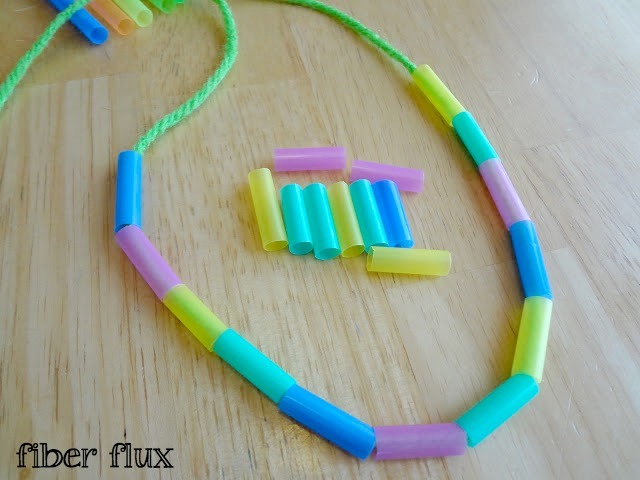 Fiber Flux: Yarny Kids Project...Bendy Straw Jewelry! 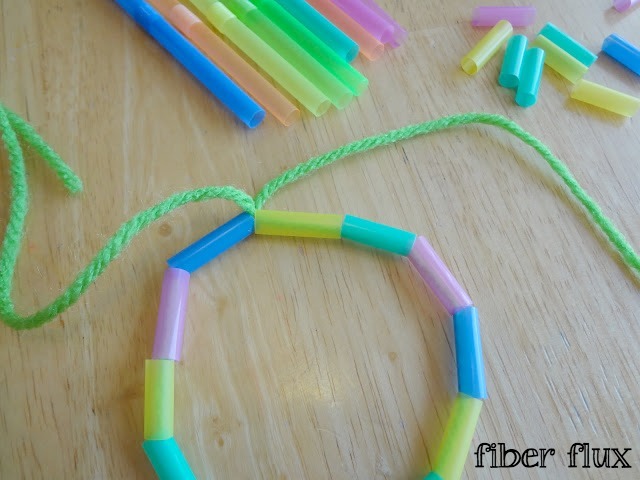 Yarny Kids Project...Bendy Straw Jewelry! 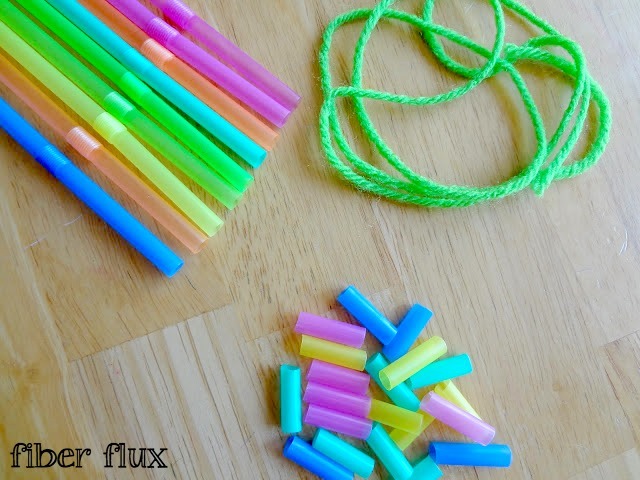 This fabulous jewelry made from yarn and drinking straws is a fun and mess free way for kids to make beautiful treasures to wear or give as gifts...I love wearing mine! 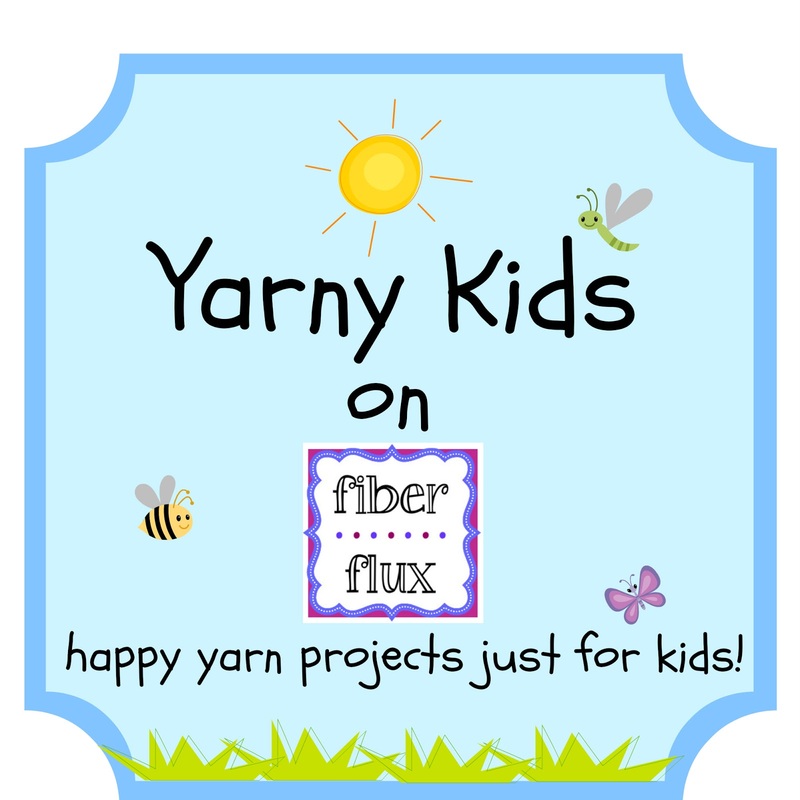 Click here for lots more Yarny Kids Projects! 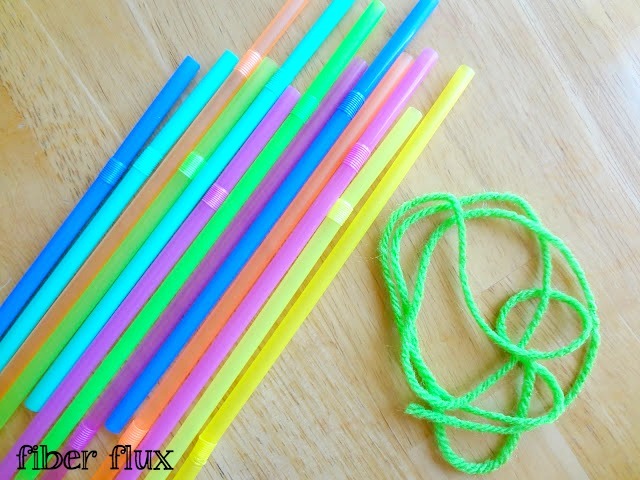 To begin, snip your "beads" from the drinking straws. You can make them all the same length or vary the sizes...the more colors the better! Now you can string your beads onto the yarn. Keep going until it is as long as you want it to be. 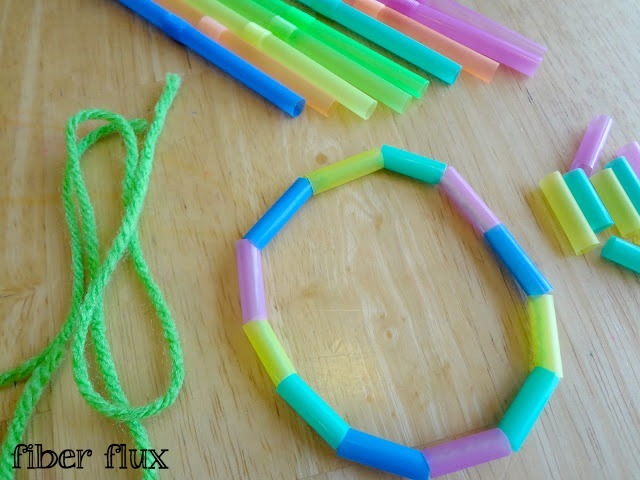 Try making patterns with the colors too! 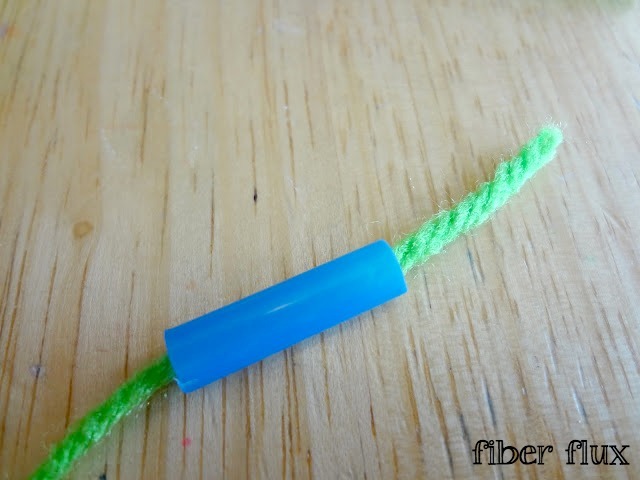 If your yarn is splitting apart, wrap a little piece of tape to form a point. Before you tie it together, be sure to put it around the neck or wrist to make sure it is the right size. Now tie it together and snip off the excess yarn. Lovely! 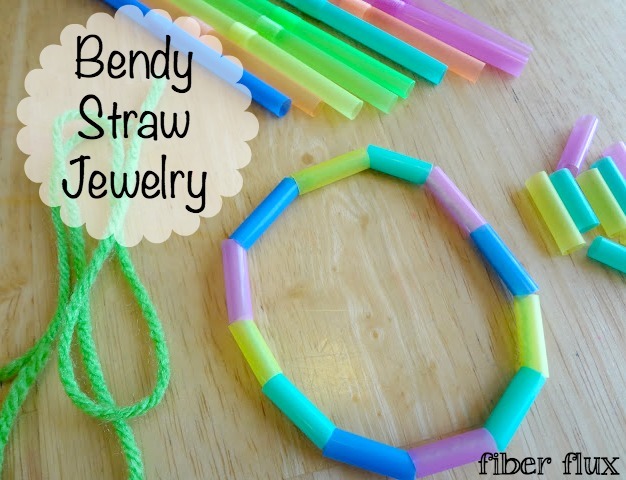 Bendy straw jewelry makes great gifts for parents, teachers and grandparents, and even very little kids get excited when they can do it all by themselves! The wide hole of the straw beads make it a bit easier too. Thanks, this project was lots of fun!